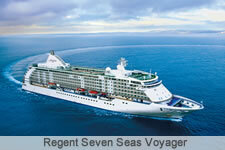 A Regent Seven Seas cruise (RSSC) represents a luxury vacation for people who prefer the finer things in life! RSSC has been chosen as the worlds top-rated cruise line by the readers of Conde Nast Traveler and Travel + Leisure magazine, and is a leader in the six-star luxury market. 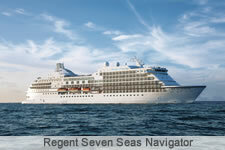 The cruise line is made up of three small luxury cruise ships; the Seven Seas Voyager (700 guests), Seven Seas Mariner (700 guests), and the Seven Seas Navigator (490 guests). A small fleet for sure, yet these vessels epitomize the best in the high-end cruising market! 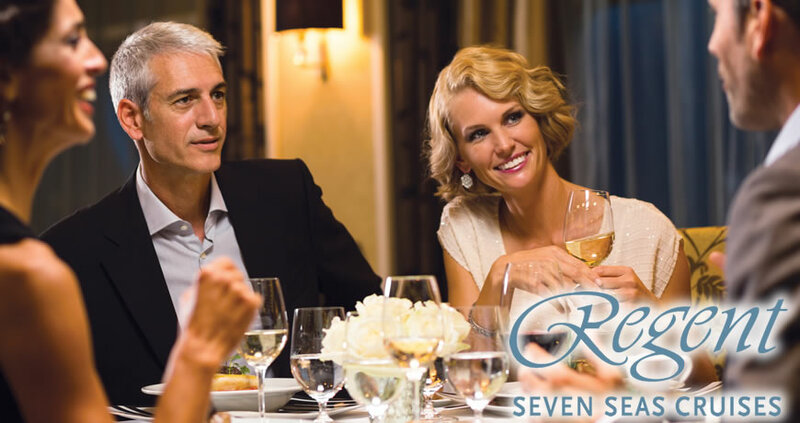 Cruise with them and you'll take pleasure in the lavish surroundings, personal service, delectable international gourmet cuisine, and plenty of space in which to enjoy it all. Champagne, served upon boarding, is just a prelude for whats to come. The all-inclusive policy is just that…truly all-inclusive. 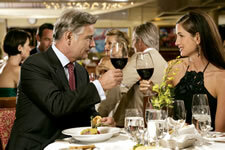 The cruise fare includes the obvious; meals and entertainment, as well as gratuities. 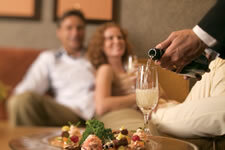 Soft drinks, bottled water, cocktails and select wines are complimentary at all the bars and restaurants throughout the ships. 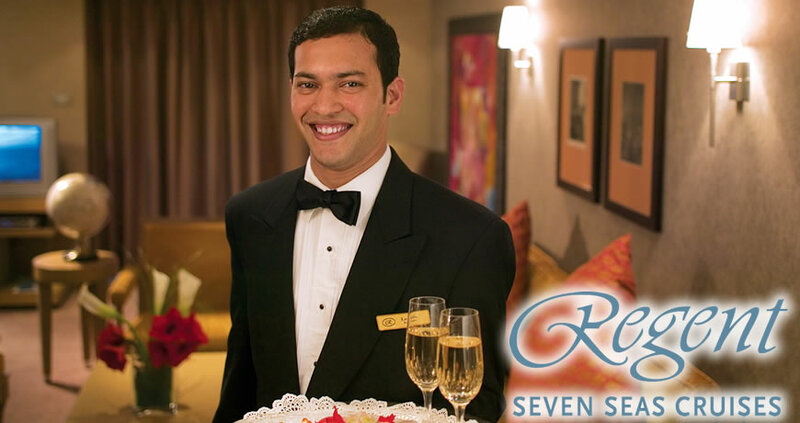 In addition Regent Seven Seas offers guests free shore excursions in every port, and often, free airfare and hotel stays as well! 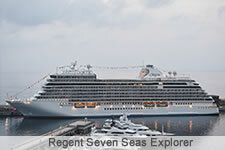 Setting the tone for a relaxed cruise experience is Regents all open-seating dining policy in its onboard restaurants. Splendid menus are designed for a sophisticated palate, and the overall cuisine is some of the best in the cruise industry. 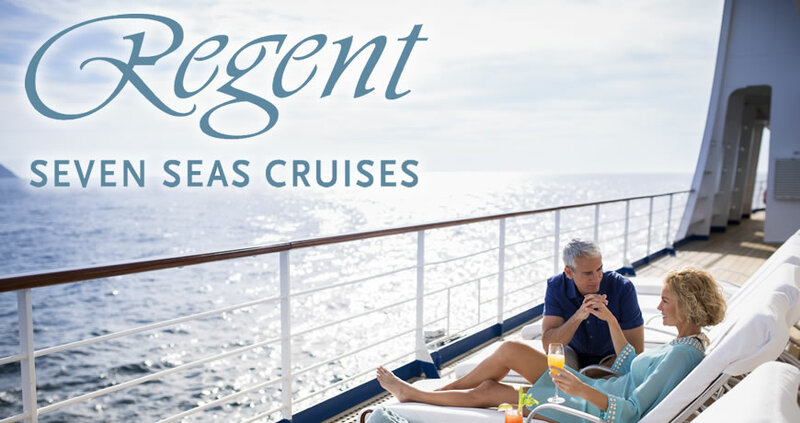 Regent is affiliated with Le Cordon Bleu (the Voyager and Mariner have LCB-operated restaurants).The dress code is elegant casual, with formal nights held only on longer cruises. 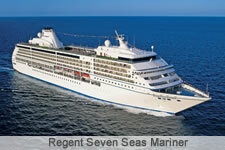 Regent Seven Seas cruises are destination focused, sailing to more than 300 ports around the world. Most sailings host guest lecturers—historians, anthropologists, naturalists, and diplomats. The Enrichment philosophy of RSSC is to provide not only an ultra-luxury experience, but one that offers guests fresh perspective and insights into their destinations. Entertainment and activities are a relatively low priority, with guests left to enjoy their vacations at their own pace. Production revues, cabaret acts, concert-style piano performances, solo performers, and comedians may be featured in show lounges, with combos playing for listening and dancing in lounges and bars throughout the ships. RSSC appeals primarily to seasoned, well off passengers in their 50s and 60s (Regent says the average age is 58), as well as the occasional younger guests and honeymooners. Many passengers are frequent cruisers who have also sailed on luxury lines such as Silversea, Seabourn, and Crystal, or are taking a step up from Holland America, Celebrity, or Princess. For guests who want to travel with their children or grandchildren, Regents Club Mariner youth program offers the opportunity for everyone to experience the excitement of exploring the world in a meaningful, enriching way. Club Mariner is designed for children of different age groups and supervised by specially trained counselors and is available on summer and holiday sailings. Even the most experienced travelers will see the world from new perspectives aboard the smaller, more intimate ships in Regents fleet. Luxury Goes Exploring in hundreds of extraordinary ports of call, including destinations in Africa and India.